With the announcement of the Venom wave last week, the New York Toy Fair 2018 in least then 2 weeks time and the Black Panther Movie out in exactly a week today (at least in Ireland we are getting it on the 13th), I decided to give NCS a short break until we get more information on what is officially coming this year from the TF2018. To fill up the time before all the plastic crack is announced, I decided to do a Top 10 list. The first ever Top 10 list I did was a list of Spider-men that needed to be made so it’s ironic that, with the announcement of the Venom wave, this list is going to look at what Symbiotes need to be made. Ever since Spidey discovered that his black costume was a living being, Symbiotes have been a big part of Spidey’s universe and have even expanded into the larger Marvel Universe, like Deadpool, Avengers and Wolverine. But when people think of Symbiotes they usually think of Venom and his “child” Carnage. However there has been many other Symbiotes, some who are also related to Venom or completely new characters. This is open to new costume or Alternate universes. I’m going to assume the rumored listing for Venom is true so Poison (who I think is the Peter Parker version is) and Scream will not be included. Remakes will be included in this list as they have had some crappy figures. I will be given body types I would like to see the figure be on. Wow Wow Wow! Put down the pitchforks. Yes this is another Iron Man armor. It was worn after Tony was turned evil during the Axis arc and remained evil for a while. He move to San Francisco where he used extremis to make people “beautiful”. He also design a new armor. However this armor used a symbiote as the base. That’s right. 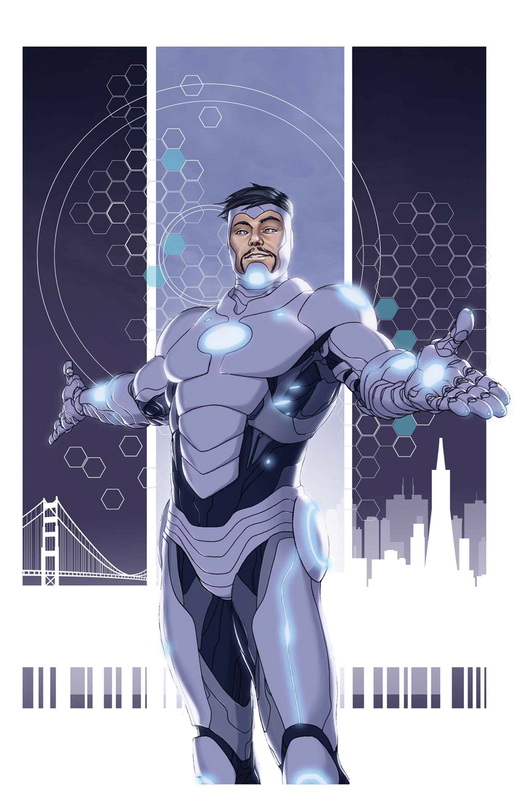 Iron Man basically was wearing a symbiote armor. But it’s Iron man so that’s why is so low on the list. This could use the Invisible Iron Man from the Black Panther wave as a base. Okay cheating a bit here, but the next on the list is the rest of the Life Foundation Symbiotes, Agony (the pink girl), Phage (the orange guy) and Riot (the grey guy). We just got Lasher from the team and rumoured to be getting Scream in the Venom wave so Hasbro really needs to finish the team. The main reason they are so low on the list is because I think they are coming soon. Agony could use the same build as Scream (if true). 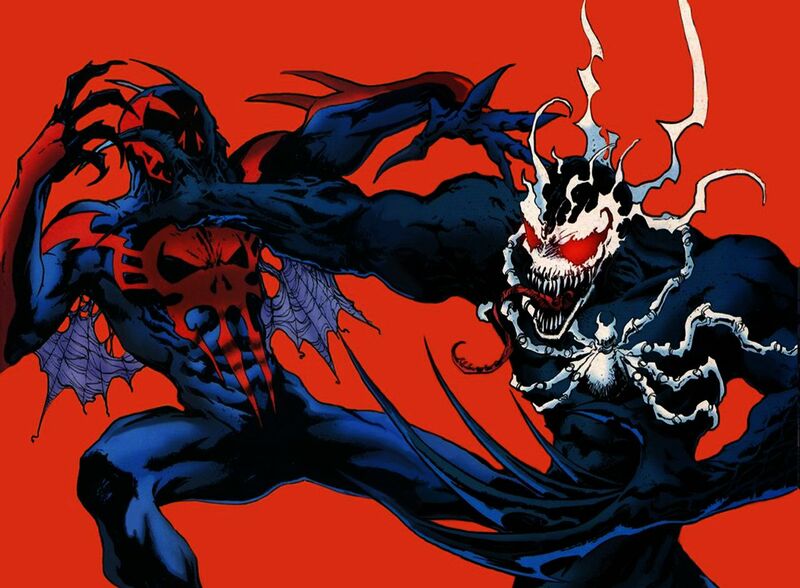 Phage could be a repaint of Carnage with a new arm and Riot can just be a repaint of Papa Venom. Next we have the most recent Symbiote to join the family is Agent Anti-Venom. When an Alchemax scientist believe that he could cure Toxic Shock syndrome with the Anti-Venom formula, he believed that the Venom Symbiote could developed an immunity to it. When Flash Thompson wanted the Symbiote from Brock, the Symbiote tried to bond with them both but one of the vials of Anti-Venom mixed with the half that was on Flash and created a new Anti-Venom. This obviously will just be a straight repaint of Anti-Venom. Next we have one of dozen of Venomverse crossover characters, Spider-Gwen. Nicknamed Gwenom by fans, she is basically what Gwen Stacy of her universe would look like if she was bonded with Venom. 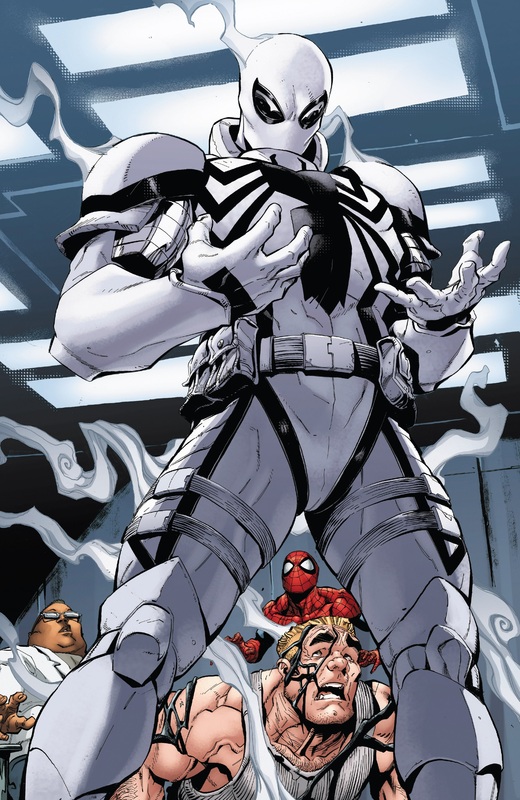 Okay yeah, out of all the Venomverse character why this one? Simple. I just love the design and it’s my list. She would be done using the Spider-Gwen figure with new parts. Next up we have the Venom of the Future, Venom 2099. Existing in the same universe as Miguel O’Hara, Spider-man of that universe, Kron Stone is O’Hara half brother and the man that murder that universe’s Punisher’s family. A psychopath killer, he would bound with a Venom symbiote. The reason I want this is that Spider-man 2099 really needs someone to fight. He could be a BAF using the Space Venom mold. Taking the half way point we have Ann Weying, AKA She-Venom. The ex-wife of Eddy Brock, she was sent a piece of the Venom symbiote by her ex. It bonded it her and see became a female version of Venom. However, this drove her insane and more violent then Eddy. She was later separated from it but she feared that it would return. Even Eddy tried to get back together, she killed herself. Like the Life Foundation gang she did have a 5 inch figure in the Planet of Symbiotes line, but I want her as a Marvel Legend. Sidekicks are a rarity in Marvel. However, Agent Venom manage to gain one when he moved to Philadelphia. His neighbor found out he was Agent Venom and when she was attacked by his arch-foe Jack O’Lantern, he protected her with his symbiote. She would later bond with a clone of Venom and became Mania, his unofficial sidekick. While she would use the teenage build as a base, she would need a ton of new parts. Jumping into the top 3 we have the “daughter” of Carnage, Scorn. A former Psychiatrist of Shriek, she lost her arm and had it replace with a bio-mechanical arm created by Carnage. When the arm sense Cletus Kasady, it force her to let him escape. However, it left behind a new Symbiote that bonded with her and became Scorn. She would hold a strong hatred for Carnage since, working with Spidey to defeat him. What really make this one cool is the fact that she can fuse with machinery and weapon which would make a cool action feature with interchangeable arms. The runner up is Hybrid. He is the combination of four of the Life Foundation’s symbiotes after they were separated from their hosts. They would combine and bond with a former Guardsman Scott Washington. He became a hero before Anti-venom attacked him and killed Washington. The symbiotes would later separate back into the Life Foundation version. With us seeming to be getting the Life Foundation team the next step would be to get this guy. Some believe he should be a BAF but I think the Namor mold with a new backpack accessory would work just as well. Taking the top spot with have the son of Carnage and Grandson of Venom, Toxin. Yes we did get a version of this in the Ultimate Green Goblin wave but that one was Eddy Brock. We also did get one from TB but that wasn’t the version that every one wanted. The one we all want is the Patrick Mulligan version from the Venom VS Carnage storyline. Ironically this could be a simple repaint of the Spidey mold with Carnage claw and 2 interchangeable head, one with a mouth and one without. Well that’s my list. What do you guys think? Yeah or Nah? What is the symbiote you want to be made next? Let me know below or on any of the social media. Previous Infinity War wave 1 and Venom Wave!! !